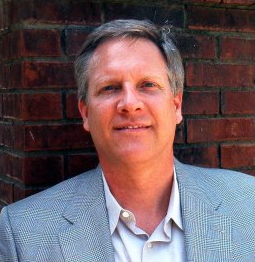 Mark Weston is an education strategist for Dell. He has more than 33 years experience in enhancing education for all student through the use of technology combined with effective educational practices. He has worked for Apple, Education Commission of the States, the US Department of Education, the US House of Representatives, the National Conference of State Legislatures and several Iowa school districts. He is an expert in educational technology and public policy, has advised leaders stateside and beyond, has consulted with over 40 state legislatures, Congress and hundreds of school districts. Weston has contributed to major school technology initiatives in nearly a dozen different states. He earned his doctorate at the University of Colorado Denver and continues to study and publish on education’s shifting paradigm. Victor: You’ve been involved with education and technology for some years now. How would you assess the state of technology integration into K-12 today? Mark: Overall, the field of education is failing to meet the challenge or opportunities of educating all students by inadequately capturing the benefits of technology. Mark: There was an expectation, when people moved into having and using more technology in schools, that education would move along at a trajectory from an aspiration for improved learning for all students to, over a period of time, genuine changes in education practice at widespread scale. Many of the efforts were sold with this idea that there would be dramatic improvements and changes in teaching and learning at a widespread level. Depending where you want to put the stake in the ground—five, 10, 15 years after many of those efforts have started—what we see is really a different story. There are a lot of questions that remain unanswered and there’s a lot of methodological problems with having the research to support some of the claims that were made along the way. There are a lot more unanswered questions than answered questions. Victor: Okay. Now we’re just going to back it up a bit. What prompted you to get involved in tech integration into education in the first place? Mark: The common theme in my career has been twofold. The first theme is educating all children instead of just some. The second theme is the idea of doing things that foster innovation, change and reform that would make it possible for all children to be educated at levels significantly above their aptitude. I believe that that’s possible, and I’ve worked over the last several decades to get to that as part of several policy initiatives, several initiatives to change the structure and so on. Most folks who look at things on the scale above what’s happening in the classroom (and who look at most of the typical indicators of performance) would come to the conclusion that not much has changed over the last several decades. Victor: That’s interesting because how you just framed that, you didn’t even mention technology at all. Mark: I didn’t mention technology deliberately because I see technology, I see the conversation about technology fitting into a bigger context. This has to do with the nature and purpose and means of education in the United States and globally. I believe that that’s the right perspective, and that looking at technology, there’s a tendency for folks to look at the relationship between technology and education and get it backwards. The focus should be on education, and technology should be in support of education and good practice—as opposed to education in support of technology. To that extent, education has failed to capture the benefits and the potential of technology to really support and drive this sort of change in practice where it can be possible to have dramatic gains in learning for not just some kids but all kids. Victor: We’ll pick up on that failure theme in a bit and have you elaborate on that more, but: Were there any formative moments, or a moment early on in your career that prompted you to get involved with technology and education or just education in general? Can you describe that moment or time period early on? Mark: My first job was in a school in Iowa. I encountered several students there who tried their best, but for some reason or another, educational things just didn’t seem to work for them. They were round pegs that were trying to be squeezed into a square hole. I made a personal commitment to not lose sight of that sort of experience that children often have. Over my lifetime, I’ve seen that there’s a large number of students for whom the system doesn’t seem to work. I’ve been in search of how to understand that challenge, and then also, what can be done about it. Initially, I believed that changes in policies create the potential for resolving those problems and put a lot of my energy into helping create and get policies passed in the states and in Washington. After we were five or ten years into those efforts, looking back it was pretty clear we didn’t have the effect that we’d hoped for. Then I thought: Well, perhaps investments in the use of technology would bring about those changes. We’re now at the point where there’s been a decade or so build out of technology that in general, on that scale—the performance and indicators of education gains have been flat. I find myself as a canary in the coal mine. I’ve earned the right and have the legitimacy by virtue of being a part of the policy conversations and being a part of the technology conversations, but then ask the tough questions. Where are the changes? Where are the results? What is the impact and are deeper outcomes possible? I’ve concluded that, and I think there’s a pretty strong body of evidence to support this—that the bigger outcomes are possible, but it will require some re-conceptualization of how technology is applied—to make that happen. Victor: Sounds as though, and I don’t know how long you’ve been repeating this kind of mantra, but it sounds as though right now you’re ready to declare or you are declaring failure, or technology’s failure to integrate well into education—however you want to phrase it. It seems we’re at a point right now where there’s a definite demarcation or change, a watershed, a tipping point. Why are you ready to declare that now? Why didn’t you do that a couple years ago? What makes you say, okay, we’re throwing down the gauntlet, we’re saying there’s a change here. What’s prompting you to do that? Mark: That’s a good question. I’m not sure I’d say it quite like that. What I would say is the past decades of my life have been an awakening or growing awareness, that more of what we have been doing won’t necessarily get us the results that we want. At some point we have to accept that and begin saying what would it take to change that, to get the results. So what’s changed around the world? There’s a recognition that all children need to be educated at significantly higher levels than their aptitude would indicate, essentially beyond grade level. That that cookie-cutter approach to education, it tends to only work for a percent, roughly 1 out of three children, so at a time where our country and other countries are seeking to be stronger, well… The answer is: how do we get all children educated as opposed to some. I don’t think it’s possible for that to happen without two things occurring. First, we need to understand and apply the knowledge and research we have about what it takes to educate diverse students in a singular classroom. Secondly, how do we harness the power of technology to make that possible. When we do that, we end up with educational experiences that are quite a bit different than the ones that are currently occurring. When that happens, that’s good news for education advocates. Technology right now—that’s being viewed as a commodity, as a student to computer ratio—becomes essential to the process of education, teaching, learning and so on. The shift in how we think about education in turn drives a shift in the role and the value of technology in a very positive way. We’re at a crossroads. We can keep doing what we’ve been doing, we can complain about the way things are—or we can do something about it. I’m choosing to do something about it. Victor: Alright. Milton Chen, a few years back had said that education is the new, something along the lines of education is the new Civil Rights issue of our time. Many others have taken that up. Arne Duncan has talked about it, education, as being an issue similar to the civil rights movement. People are saying, “Long time no Sputnik”. In other words, it’s really been awhile since we’ve had a moment like Sputnik where we’ve launched forward with a ‘game on!’ mentality. Are we just trying to rehash old glory days? Let’s get current. What can we do today? And where are we at today—as far as these things go? Do we need to reach back into the past for some of these metaphors, or is there something that we can get excited about today—and what is that? Mark: There are plenty of historical precedents; there were profound changes that occurred in short periods of time and disciplines. There are examples in physics, for instance, with Einstein—or popular culture, for instance, with Bob Dylan’s going electric. I’m actually very optimistic about the future of education and believe that the process of change can be quite rapid and quite productive. I’m not one of the folks who thinks this is a 20, 30, 40 year trudge. I’m trying to figure out how can we get there in a few years, if not sooner. Part of getting there, step number one, is having the awareness of the way things really are. Most people would be quite concerned if they realized that in the United States, of all the students who start school, about two-thirds of them complete the school but only a third of those actually report being reasonably well educated. What that means is that two out of three children, the system doesn’t work for. I don’t think most people are aware of that state of affairs, and it has huge implications for the quality of life for the quality of our society. 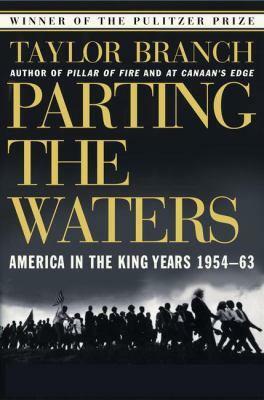 Another parallel if you want is, I recommend to you the book Parting The Waters by Taylor Branch in which he talks about the Civil Rights Movement in the 1950s. From the mid-50s until the mid-60s there was a profound change in this country and to your point, people focused on it. What we have to focus on, is, what’s the key question? And the question for me is, How do we educate all children—not some—to high levels? We’ve mostly tried to answer the question, how do we educate some? Victor: Okay. Tracing it back a bit, you’ve worked with Steve Jobs among other top leaders in technology and also education. What sort of takeaways or lessons did you get from that experience and what kind of philosophy did you develop in and around your time working with Apple and Jobs that still carries forward within you today? Mark: I’m not sure I want to quite go down that path. What I would say is there’s plenty of contemporary examples of what’s possible when people focus on an opportunity and push to realize it. There are lots of examples in the technology industry of how people think out of the box and bring about rapid change in people’s lives. Victor: Did you want to give a few? Mark: Just look at the rapid growth of the Internet. Look at the expansion of smart technologies in just a matter of a couple of years. The way many of us conduct our business, the way many folks manage their affairs has changed dramatically. Some common characteristics, one that I would kind of point out for education is, when I go to the bank and use my smart card or my debit card to get cash, using that card doesn’t require me to be a financier and understand the inner workings of the bank. The card and the systems in the bank make it easy for me to do the transaction. Now, the same thing when I buy gas. Same thing when I drive a car. When I first learned to drive I had to take a semester-long course in driving to get my license. Since then, cars have gotten a lot simpler and the demands on the driver have reduced. In education there are opportunities for things to become—for systems and processes—to become much smarter and in the process push, drive and support the practices that do really make a difference for all children. Mark: I would like to just make one comment. What we’re talking about here is a struggle between paradigms. The current paradigm is doing better, the current way of educating children, we are doing better at that than at any time in the history of this country or the world. The public education system in the United States—by the measures it was set out to achieve—has been an incomparable success. We can’t really be critical of “did we achieve our mission” because we did. What happened in this system of paradigm shifts what happened is what we’re trying to accomplish changed. So it used to be okay to have dropout rates of 75 percent and it didn’t have much of an effect on the country, on people’s lives. They were well employed, they had good-quality lives. Now, not having an education is a huge detriment on many levels, and that’s the problem we’ve got to solve. We have to ask ourselves, in the current paradigm: Does the current approach to education solve that problem? There’s growing evidence that it can’t. You’re beginning to see people step up and say let’s chart a new course. You’ve probably read Diane Ravitch‘s recent book, she raises this point. Linda Darling-Hammond, her new book on the Flat World in Education, she called it out very specifically how Americans’ commitment to equity will determine our future. She makes this case in very explicit detail. For me, it’s an issue of: Do we tinker more and try to refine what we’ve been doing? Or, Do we approach it a more new and promising way? I can’t envision a new and promising way that doesn’t have technology play an essential role. Victor: Let me just take issue I guess, with what I’m hearing. Am I in a dream or something? Back in the 1800s, back in Little-House-on-the-Prairie days, one-room schoolhouse-type days where Abraham Lincoln was getting an education, somewhere in that past era—is it just a myth that there were these students that were barely in eighth grade that were helping out on the family farm or whatever, but that could read Latin or Greek and were well well-versed in all of the classics of literature and were well beyond what a college graduate is these days? Weren’t they much more literate than any student is today? What about the dumbing down that John Taylor Gatto has been speaking of? Do you subscribe to that at all? Where do you see that all fitting in? Maybe I didn’t interpret your statement correctly, but it sounded like you are saying that this is the greatest time in American education ever and I just can’t fathom that. Mark: In the early 1900s there was a coalescing of minds through things like the Committee of Ten, the Committee of Fifteen, where leaders across multiple sections—the teacher groups, the administrators, business leaders—got together and said, What do we need education to be able to do and accomplish? They essentially designed the education system that’s in place today. What they desired to do has been accomplished beyond expectation. But if that same group of folks were to convene today, then they would chart a different course, because the issues and opportunities and things that we face are so significantly different. We live in a global world. We live in a world where it requires more than necessarily a strong back, it requires an active and knowledgeable mind. People need to know how to solve problems and things of that sort. The nature and the focus of what’s needed has changed and that change then creates a situation where we have to say, Can the current system, can the current way that classrooms and skills are organized—respond to these new challenges and opportunities? There’s pretty good evidence that, over the last couple of decades, that it can’t. Who are the folks that are thinking and working on the alternatives? We’ve tried to—but there’s been a tendency in education to fit technology into the old model so that the metaphor of technology as a subject, that you go to the lab to learn how to do a specific application—that doesn’t really get at the problems and challenges that we’re trying to solve. It’s really more of, How can technology—or how can computers— really enable students to do a different type of work, to gain a different kind of skill to prepare them to be in a different world? Mark: Let me be clear: I’m choosing to not bash or complain about the system as it is. I’m choosing to put my energy into what’s next. My hat’s off to the folks who’ve been a part of that system. For the mission they’re given, they succeeded. But the mission has changed. I think more people are waking up to the fact that that’s the case.